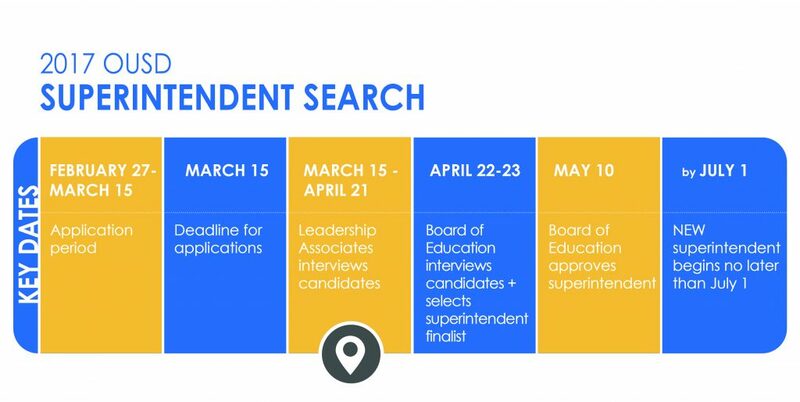 The application period for the superintendent search closed on March 15. In this blog you’ll find information about the timeline, process, candidate pool, and how you can stay involved. 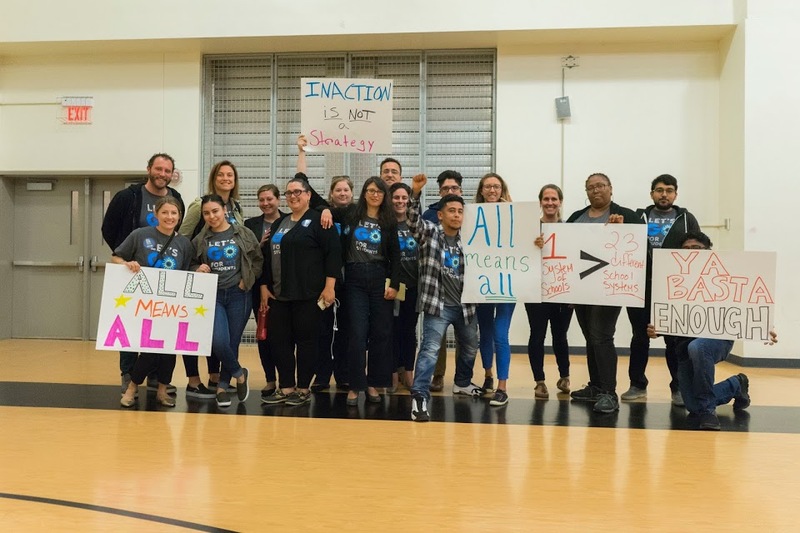 As the Oakland school board moves to make one of the most important decisions it will make on behalf our students and educators, we will continue to share the voices of community leaders to inform that work. This winter, the search firm Leadership Associates and the school board gathered feedback about the qualities and skills our community wants in our next Superintendent. Feedback was gathered through Town Hall Meetings, an online survey, and engagements with key stakeholders and staff. Alongside the school board’s feedback process, more than 100 families, teachers, principals, and community leaders in GO’s network attended listening sessions to identify the qualities they are looking for the next Superintendent. Following the listening sessions, the GO network sent this open letter to the school board about the need for the following qualities in our next superintendent: a systems thinker and experienced educator who is community-driven, equity-focused, and committed to Oakland. We were happy to see the recommendations from our networks open letter reflected in the position description. The school board received 35 applications for the position. According to OUSD, 60% (21) of applicants are from Oakland/regional Bay Area. See more about candidates’ experience, location and demographic details on the OUSD website. The school board has stated that they will maintain the names of the candidates confidential to protect their current employment situations. Leadership Associates is currently conducting reference checks and an initial screening for the 35 candidates. The Board will review the applicant pool on April 11, and decide who will move forward to finalist interviews. With 9 weeks left before the end of OUSD’s school year, the school board is moving on an aggressive timeline to approve a contract by May 10th and have the new Superintendent in place by July 1st. 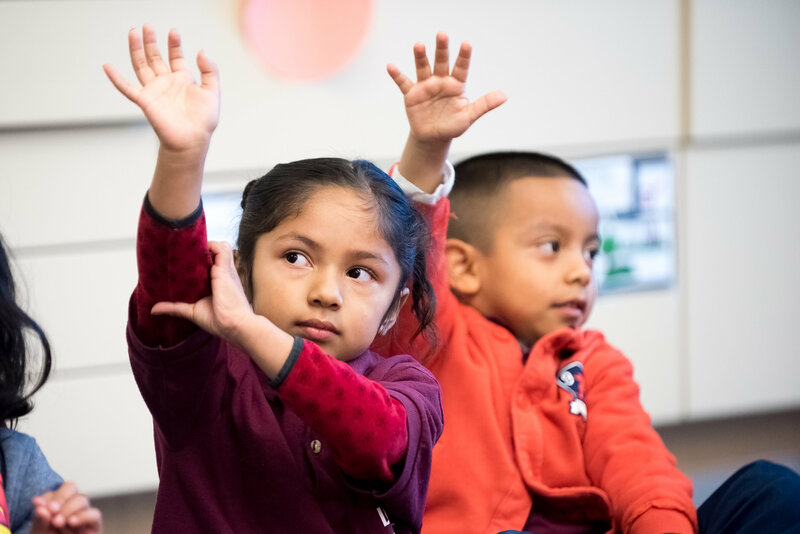 If you are interested in knowing more about the final stages of the process check out OUSD’s web page and sign up to receive updates. You can also share your perspective and attend the School Board Meeting scheduled for April 12th at 5 PM, City Council Chambers, City Hall, 1 Frank Ogawa Plaza, Oakland, CA 94612. We have been asked if GO Public Schools Oakland will be formally endorsing an individual candidate. Because we will not know all the candidates applying for the job and out of respect for the hiring process and in fairness to all candidates, we will not be endorsing any one person applying to be our next superintendent. Instead, what we will do is advocate to the school board and all candidates to focus their interview conversations on the most important and hardest parts of the job in the next few years. To that end, over the next few weeks, we will share open letters from members of the GO network offering perspectives on some of the most urgent and important aspects of the job. We believe that these issues absolutely must be addressed, the board must assess candidates on the basis of these issues, and all candidates must interview for the job aware of these needs. Send us your ideas about which issues our new Superintendent should focus on at mrangel@gopublicshools.org.